The objective of the game is to score more points than your opponents by finishing an “end” with one or more of your teams“bowls” closer to the “jack” than your opponents nearest bowl. A game is split over a number of “ends” and the points are accumulated to decide the eventual winner. Bowls are not spherical, they are shaped to follow a curved path to the “jack” and can be bowled either forehand or backhand while standing on a “mat”. The game is extremely tactical and a bowler may elect to “draw” or “drive” at the “head” to achieve the objective. “game” A game can consist of a fixed number of ends, or the be first to achieve a minimum number of points. “end” An end comprises of placing the mat, rolling the jack and alternating with your opponents to roll your bowls at the head until all bowls have been delivered. “bowls” (sometimes known as woods) A player will usually have a set of four identical bowls. Games are usually played using two,three, or four bowls per player. “jack” The target. Jacks are usually white or yellow and are spherical about 65 mm in diameter..
“mat” a rectangular piece of rubber on which at least one foot must be placed when delivering the bowl. “head” A head comprises of the jack and any delivered bowls sitting within the confines of the playing area. (the “rink”). “rink” one of six rectangular areas marked out on the bowling green. 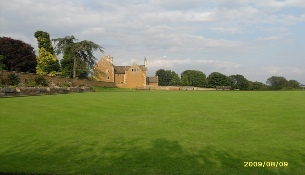 The green itself is a 34 to 40 metres square. rinks are set out in differing directions in the afternoons and evenings to discourage the introduction of channels. 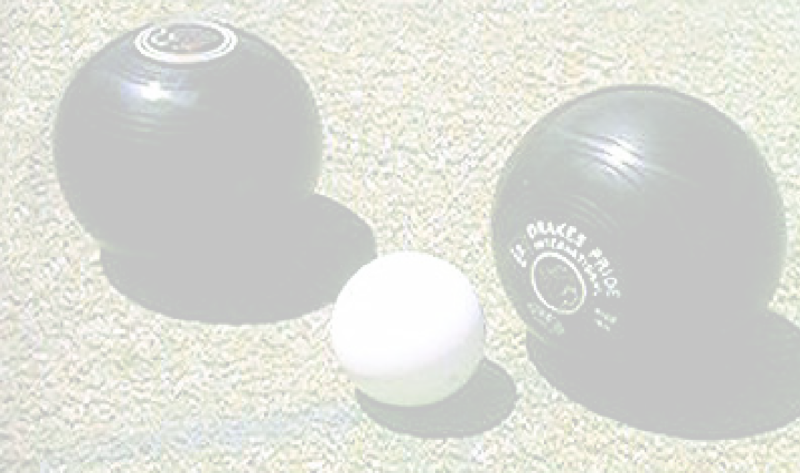 The game of bowls is played by two teams of one to four players .